Hello, I think we used to have a button in the toolbar in the text editor in WP bakery that allowed us to add a shortcode. We have updated our X theme and this button is no longer there. Did we do something wrong? Is it still possible to open a catalog of shortcodes from inside the text editor and add them there? Are you referring to X Shortcodes generator? If yes, please go to Admin > X or Pro > Settings and enable the Show Legacy Shortcode Generator option. Do I understand correctly that this button is not available in text fields in Cornerstone? I was trying to add a tooltip but was not able to. Any advice? You won't be seeing that inside Cornerstone because most of the shortcodes are Cornerstone elements. 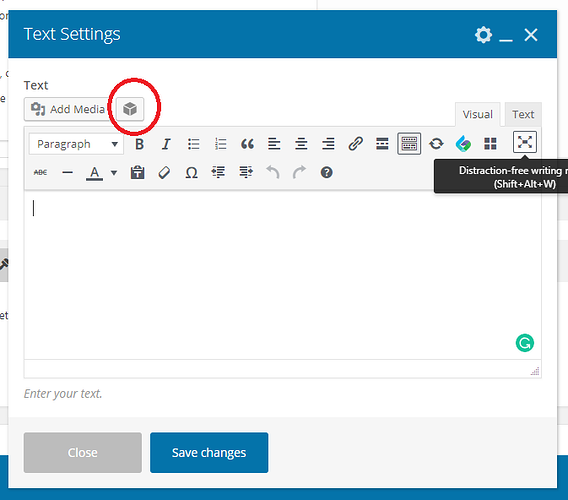 That is only recommended to use in WP Bakery Visual Composer or in the default WP Editor. and learnt that I can copy shortcodes from there, but I am not sure if this is an exhaustive list or if there is an easier way to add shortcodes to the text fields. Any tips will be appreciated. For those shortcodes that you can find their relative elements. Just copy and paste it in your page. Make sure you added your own text and save your changes.